Can't connect to Xbox Live. There's a problem with your connection to Xbox Live. 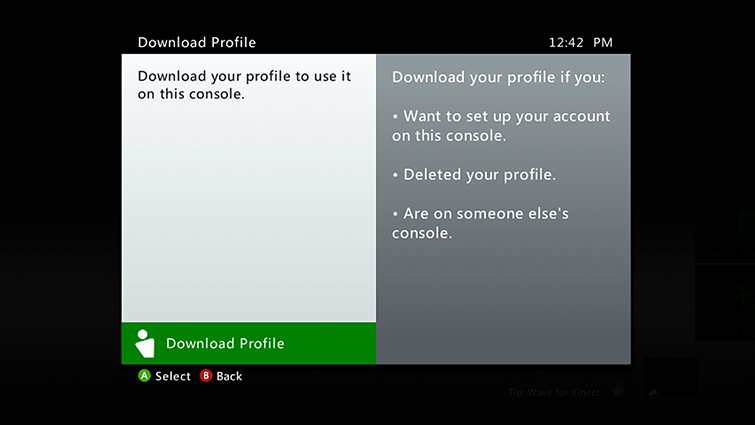 The Xbox Live profile stored on your console is corrupted. If you continue to have problem, try the Xbox 360 Connection Solution. Format a spare USB flash drive as a memory unit. Plug the flash drive into your console. From the Dashboard, go to settings and then select Storage. Select the memory unit that you want to move your profile to. Press the Guide button on the controller. Select Download Profile. Note Not seeing Download Profile? This means that you're signed in under another profile. Press the X button to sign out, confirm and then select Download Profile. 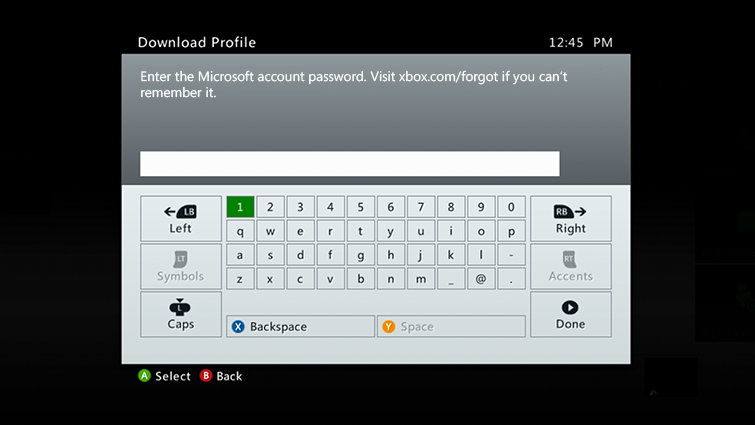 Enter the email address of the Microsoft account that's associated with your Xbox Live profile. If you don't know it, see the Lost Account Solution or the Lost Password Solution. Enter your Microsoft account password. If you forgot it, you’ll need to reset your password. Note If your account is an Xbox Live child account, the parent's Microsoft account information is required to download the profile. To recover lost Microsoft account credentials, use the Lost Account Solution or the Lost Password Solution. If you use external storage on your console, select the storage device on which you want to save the profile. If you don't use external storage, your profile will begin downloading. The issue might be resolved by reseating a loose hard drive. 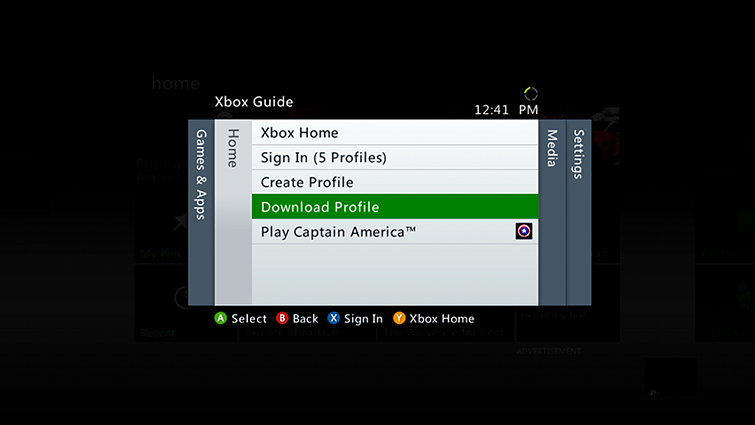 Follow the instructions specific to your console type at Add or Remove an Xbox 360 Hard Drive. Clear the system cache. For help, see step 2 in Solution 3, above. Enter the following button sequence: LB , RB , X , LB , RB , X . Select the option to roll back all system updates that are installed. The console will restart automatically and then download the updates again. Unplug the power cable from the back of the router, modem or gateway. If you have a router and a modem, unplug the power cable from both devices. Turn off your Xbox One console by pressing and holding the power button on the front of the console for five seconds. Plug in the rest of your hardware and try to connect to Xbox Live. Run the Xbox 360 Connection Error Solution. If you continue to have this problem, contact Xbox Support. Would you like to contact Support regarding the "Error 80151904 occurs when using Xbox Live on Xbox 360" issue you were reading about or a different issue?